3 lives, Medium difficulty. Extends at 70K and every 200K for Daisenpu, or 50K and every 150K for Twin Hawk. -Twin Hawk the arcade game is harder than Daisenpu the arcade game (!). -Daisenpu the Mega Drive game should be harder than Twin Hawk the Mega Drive game; also, the two versions are on the same cart. 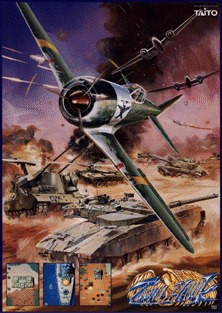 There is no American release of this version, although using a US setting will still bring up Twin Hawk; please specify if you've done this. This port actually benefits from external autofire, so please use "Ext." if you've done so and "On" if you haven't. Please do not use Helpers, as they trivialize the game through this technique. Bombs, used by pressing button 2 again at any time before the Helper formation is completely in position (they'll start firing), are great and should be used. DETAILS is for which console or emulator, which region release, etc. There may be a difference between the world and US versions of Twin Hawk. 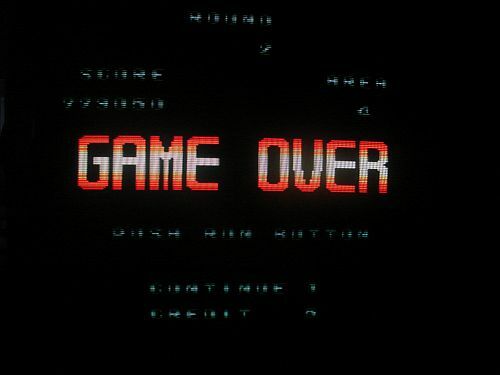 The arcade game has 68 segments ("areas"), and this counter resets every loop. The ports divide these into four stages ("areas"), punctuated by their BGM. 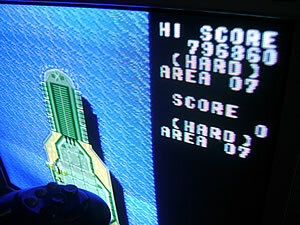 The MD version simply adds loops to a single counter like Tatsujin Ou (area 2-1 would be area 05), while the PCE version has a loop counter ("rounds"). 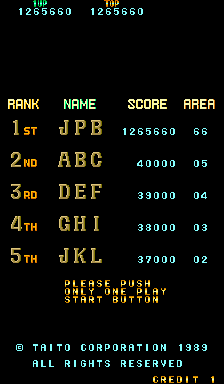 Daisenpu Custom is a fairly different game (based on the PCE version) with eight clearly-defined stages. Last edited by Despatche on Mon Mar 11, 2019 3:30 am, edited 56 times in total. Brought this to the German shmup meet. First time I cleared the first loop since 1989 or 1990. Used an autofire circuit in the cabinet. Died pretty quickly in the second loop. Yeah, even with all that vertical room, this is one game I couldn't stand playing without autofire. I assume this was some version of Twin Hawk? edit: Ugh, I've completely forgotten how to convert "total area" to "loop/area". Damn it. How many "areas" are in a loop? Sorry. Twin Hawk (World I think?). It's the version without checkpoints. I think each loop is 199 areas, so when you go into the loops, you can use the first number to determine the loop number? Love playing this one with OUT autofire. Got a little nervous near the end of the first loop because I lost a couplve lives before the naval section but pulled it together coming into the 2nd loop with 2 lives. Had some flubs and a little nervousness in the 2nd loop and reluctance to use my bombs/squadron and fell apart before the first midboss. 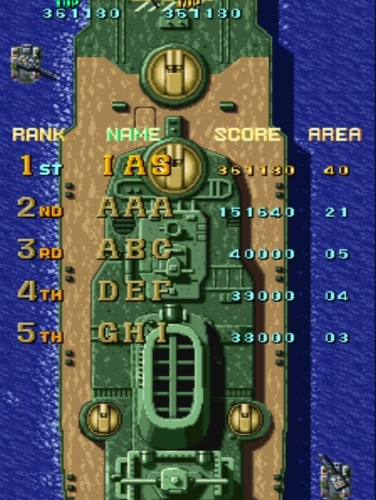 Still, happy with another loop 1 clear and high score. My goal is to beat the 2nd loop. Last edited by Despatche on Wed Mar 13, 2013 8:59 pm, edited 1 time in total. 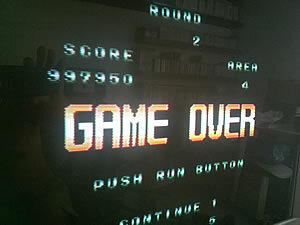 Had a higher score in Hard difficulty (around 456000~457000) but with Game Over at 1-4. Just got back into playing what is probably my favorite game. It is powerup of laser. Only one or two bullets away from destroying the second of the big blue tanks. The part between these two tanks and the previous large tanks seems a bit empty and uninspired in design, almost as if something is missing. The flow/rythm of the game feels broken. That's enough Daisenpuu for one lifetime. Edit: Looks like the other host I used is out of business, added working pictures. Last edited by Perikles on Thu May 14, 2015 9:17 pm, edited 1 time in total. Looks like you're correct after all! -Twin Hawk the arcade game is harder than Daisenpuu the arcade game (!). 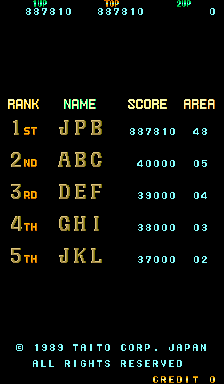 I can't believe I'm on six Daisenpuu boards, with a first place in the arcade version, even. Most people assume that Twin Hawk is the typical easier export version. I researched it myself... and did a lot of for a few hours. Noone really likes this game. I'm not sure why it has as many submissions as it does. I might put the Daisenpu roms back on my PCB. I think the harder difficulty must have been a re-balancing decision to make up for the increased fire power of two players and the instant re-spawn? This is the most fun 2-player game I know. Are you sure this was for Daisenpu and not Custom? That seems too high for Daisenpu. Should've known there is no way I could beat our Daisenpuu master Kollision. I'm amazed with which ease you destroy this game, I'm always having major difficulties with the 16-bit ports of this one for some reason. Even tried out the MD port the other day again, almost immediately dropped it.